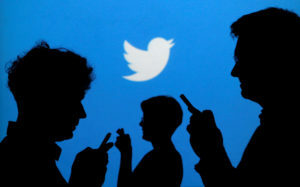 Twitter says it is endorsing the Honest Ads Act, a bipartisan bill designed to make online political advertisements more transparent by revealing who paid for them, among other information. Facebook recently came out in support of the bill. The company’s CEO, Mark Zuckerberg, is testifying before Congress on Tuesday and Wednesday on users’ data privacy and other issues, including foreign elections interference. Google, Facebook and Twitter were questioned last fall about Russian elections meddling through their platforms and all three were asked whether they’d support the bill. Google did not immediately respond to a request for comment on Tuesday afternoon.